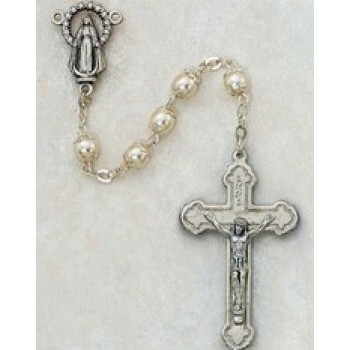 Rosary beads come in a variety of shapes, styles and materials. 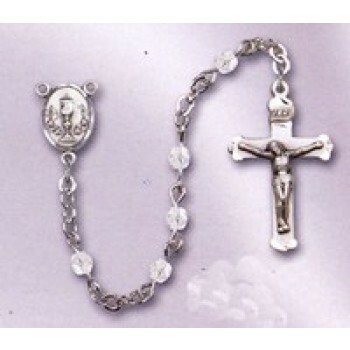 One of the most popular materials for modern rosary beads is glass or crystal. Glass and crystal beads weigh less than stone varieties and are less expensive, but they give the same shimmer and appeal of their more costly counterparts. 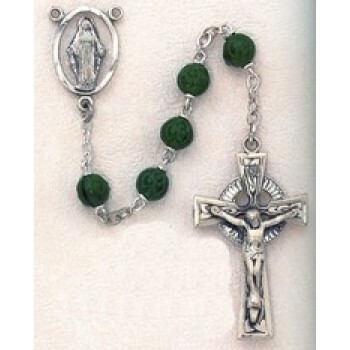 Because of their affordable price and exceptional appeal, many people choose to forgo traditional materials for glass or crystal rosary beads. 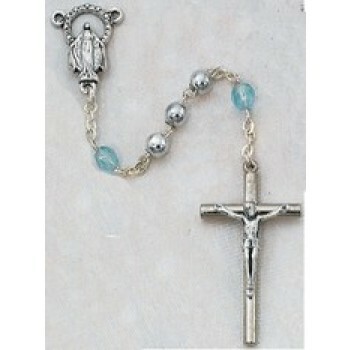 Sapphire Tin Cut Crystal Rosary Beads. 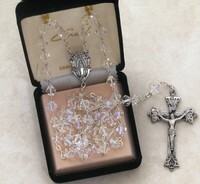 Each of the rosaries contains plain glass beads and faceted glass beads that mimic the look of real crystal. 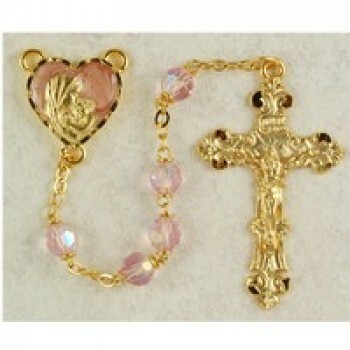 Swarovski crystal rosaries are also available and look best when crafted on sterling silver, gold filled or 14K gold bases. Glass and crystal beads are available in a variety of colors ranging from nearly translucent to deep blues and greens. 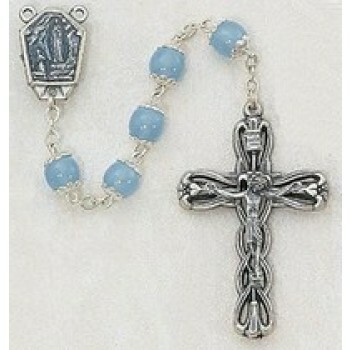 Rosaries contain sets of 10 beads that are arranged in a repeating pattern. Each bead represents a different prayer that should be said. 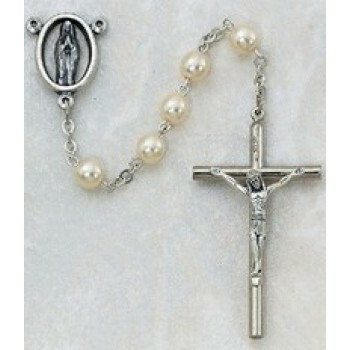 The rosary itself is a prayer tool that helps guide the user through their prayers, keeping track of which verses should be recited and in which order they should be said. 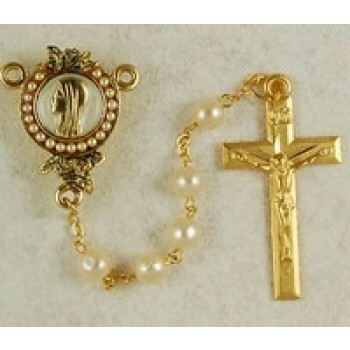 The rosaries are finished with a crucifix that may be made of either wood or metal, with gold and silver being the two most common materials.